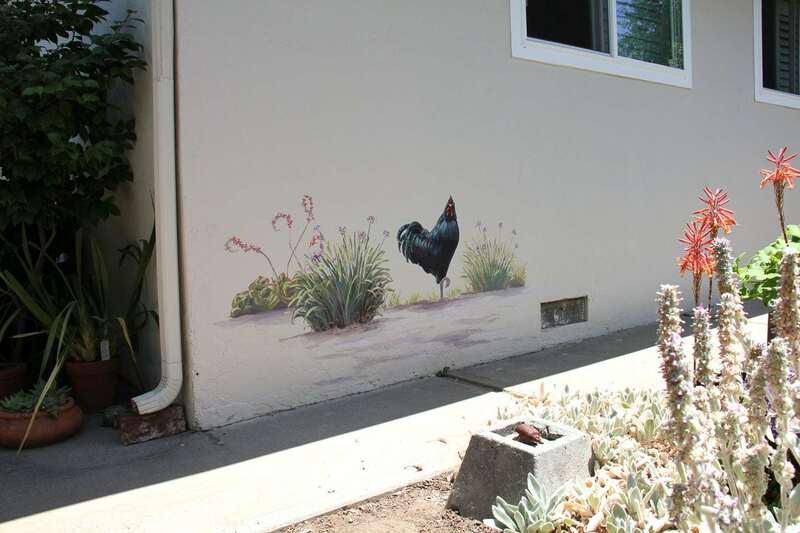 I painted this mural in an idyllic drought tolerant garden in San Jose. The owner was an accomplished horticulturist, and the plants and fruit trees in her yard, framed by pathways and pots were each sculptural works of art in themselves. The art I added on the wall only slightly enhanced a garden that already oozed balance, creativity, and peace. 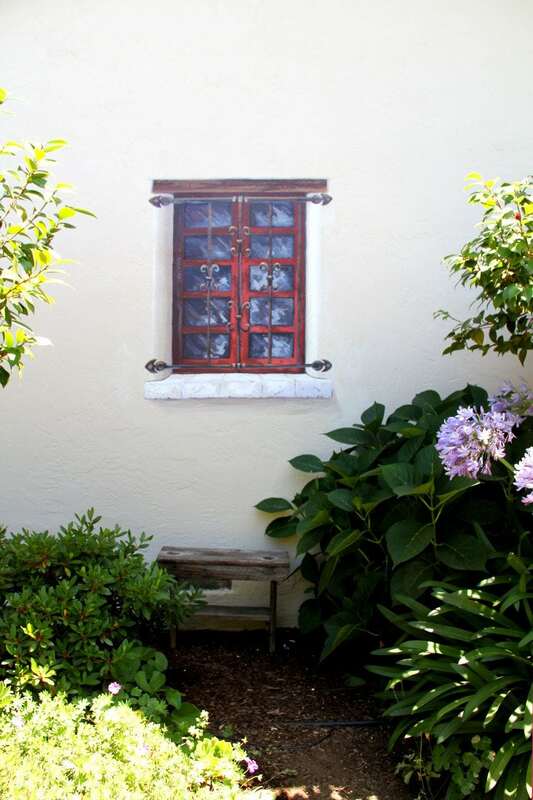 The window was inspired from a trip my client took to the Carmel Mission. 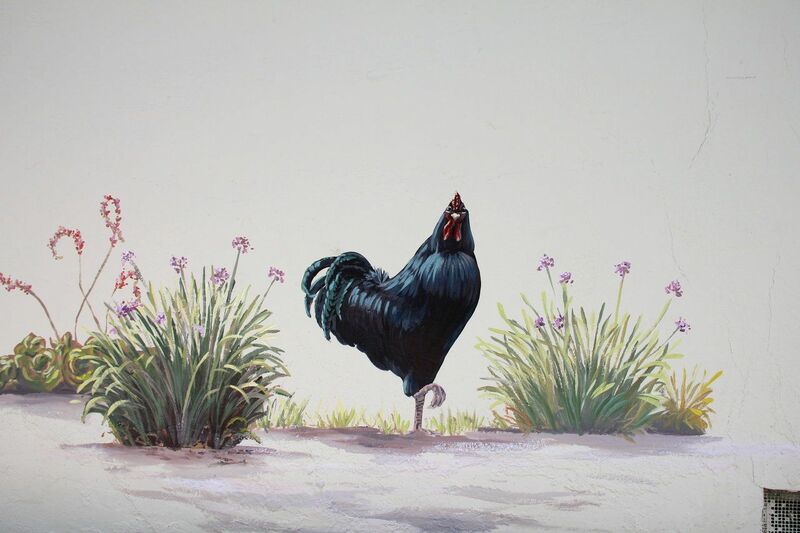 The rooster was a perfect character for the blank wall that was the backdrop to her vegetable garden.